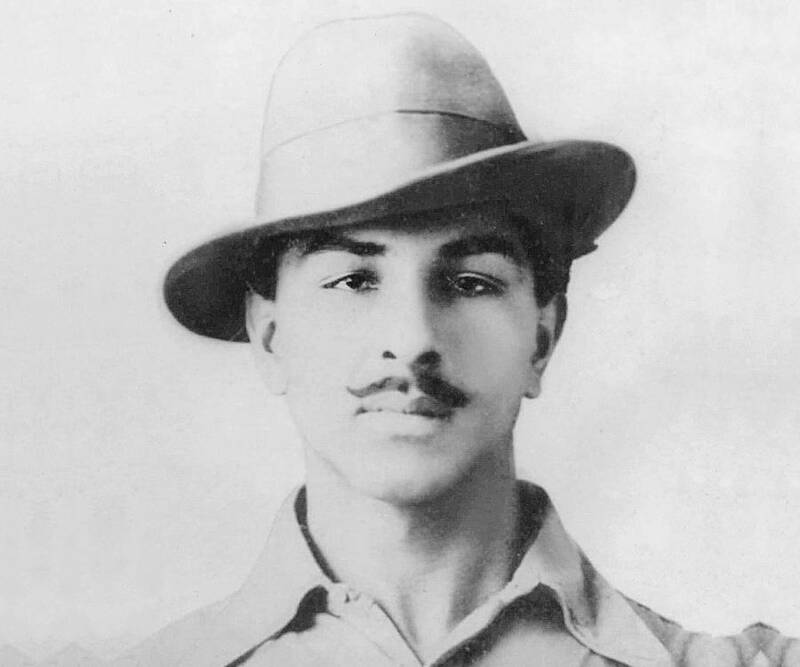 Bhagat Singh was an Indian revolutionary who played a pivotal role in the Indian Independence movement. This biography of Bhagat Singh provides detailed information about his childhood, life, achievements, works & timeline. Bhagat Singh was an Indian revolutionary who played a pivotal role in the Indian Independence movement against British colonial rule. Born into a family of patriotic Sikhs well-known for their participation in revolutionary activities against the British Raj, he was inspired greatly by the courage of his father and uncles. As a young man he became attracted to anarchist and Marxist ideologies which further kindled revolutionary ideas in his mind. Bright and intelligent he was also an avid reader and actively participated in extra-curricular activities as a college student. He was involved with several revolutionary organizations including the Hindustan Republican Association (HRA), which changed its name to the Hindustan Socialist Republican Association (HSRA) in 1928. He had great respect for Lala Lajpat Rai who was injured in a protest against the Simon Commission. When Rai died a few days later, Singh decided to avenge his death and assassinated John Saunders, a British police officer. Evading arrest, he went on to throw bombs inside the Central Legislative Assembly and then offered himself for arrest. He garnered tremendous support from other patriots while in jail and his execution boosted the revolutionaries’ determination to continue fighting for independence. 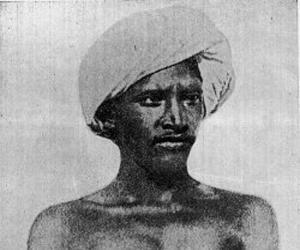 He was also criticized for his violent stance towards the British but that did not prevent him from becoming a legend of the Indian independence movement. 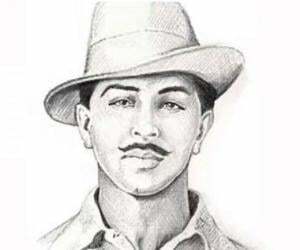 Bhagat Singh was born in September 1907 in Banga, Jaranwala Tehsil, Lyallpur district, Punjab, British India, into a family of Punjabi Sikhs. His father and two of his uncles were members of the Ghadar Party and were actively involved in the Indian independence struggle. They were in jail at the time of Bhagat Singh’s birth due to their participation in revolutionary activities. 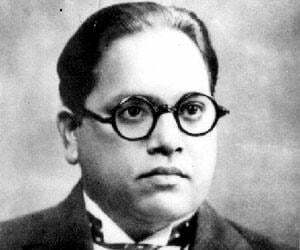 He received his primary education from the Dayanand Anglo-Vedic High School, an Arya Samaji institution. Inspired by father and uncles, he grew up to be a patriotic young man and decided to dedicate his life to the independence movement. He became disillusioned with Gandhi’s philosophy of non-violence and joined the Young Revolutionary Movement and began to advocate for the violent overthrow of the British Government in India. He joined the National College in Lahore in 1923. His participation in the freedom struggle intensified during this period. He joined the Hindustan Republican Association which had prominent leaders like Chandrashekhar Azad, Ram Prasad Bismil and Shahid Ashfaqallah Khan who further kindled his patriotic fervor. The name of the organization was changed to Hindustan Socialist Republican Association (HSRA) at Singh's insistence in 1928. The British government set up the Simon Commission to report on the political situation in India in 1928. The commission did not include even a single Indian as its member and this greatly agitated the Indian leaders and led to protests across the country by Indian political parties. The commission visited Lahore on 30 October 1928. Lala Lajpat Rai, a prominent leader of the Indian independence movement, led a silent march in protest against the Commission. The British police resorted to violence in their attempts to quell the protest. The superintendent of police, James A. Scott, ordered a lathi charge against the protesters and Rai was grievously injured. He died a few days later on 17 November 1928 of a heart attack. His injuries were believed to have hastened his untimely death. However when the matter of his death was raised in the British Parliament, the British Government denied any role in Rai's death. Enraged by his incident, Singh vowed to avenge Rai’s death and teamed up with other revolutionaries, Shivaram Rajguru, Sukhdev Thapar and Chandrashekhar Azad to make a plan to kill Scott. The shooting was scheduled to take place on 17 December 1928. However, a case of mistaken identity ensued and the revolutionaries killed John P. Saunders instead of Scott. Saunders, an assistant superintendent of police was shot to death as he was leaving the District Police Headquarters in Lahore. The young revolutionaries had already planned an elaborate escape and were successful in evading arrest. A day after Saunders was killed, a leaflet was circulated by the Hindustan Socialist Republican Association announcing that the death of Lala Lajpat Rai had been avenged. Before long Singh began planning his next protest to gain massive publicity for the cause of Indian independence. 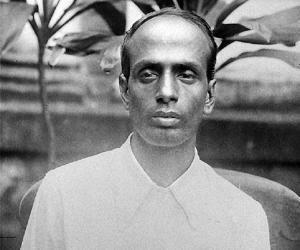 Along with other members of the HSRA he planned to explode a bomb inside the Central Legislative Assembly to protest against the Public Safety Bill and the Trade Dispute Act which were being enacted by the Viceroy using his special powers even though they had been rejected by the Assembly. On 8 April 1929, Singh, accompanied by Batukeshwar Dutt, threw two bombs into the Assembly chamber from its public gallery. Their intention was not to kill anyone but to gain publicity. After the explosion, the young men began shouting the slogan "Inquilab Zindabad!" ("Long Live the Revolution") and threw leaflets. Then they offered themselves for arrest. Singh was given a life sentence for the bombing and shortly afterwards charged with the Saunders murder along with Sukhdev, Rajguru, and 21 others. His life sentence in the Assembly Bomb case was deferred until the Saunders case was decided, and he was moved to Central Jail Mianwali from the Delhi jail. In the jail he noticed that there were vast differences in the manner in which European prisoners and Indian prisoners were treated. So he launched a hunger strike demanding equality in food standards, clothing, toiletries, and other hygienic necessities, as well as access to books and a daily newspaper. The hunger strike vastly inspired a rise in public support for Singh and his colleagues. Singh’s growing popularity bothered the British authorities greatly and the government decided to advance the start of the Saunders murder trial, which was henceforth called the Lahore Conspiracy Case. Following the trial, Singh, Sukhdev, and Rajguru were sentenced to death by hanging. The three men were hanged on 23 March 1931 in the Lahore jail. Bhagat Singh was just 23 years old. The bodies were then secretly cremated outside Ganda Singh Wala village. 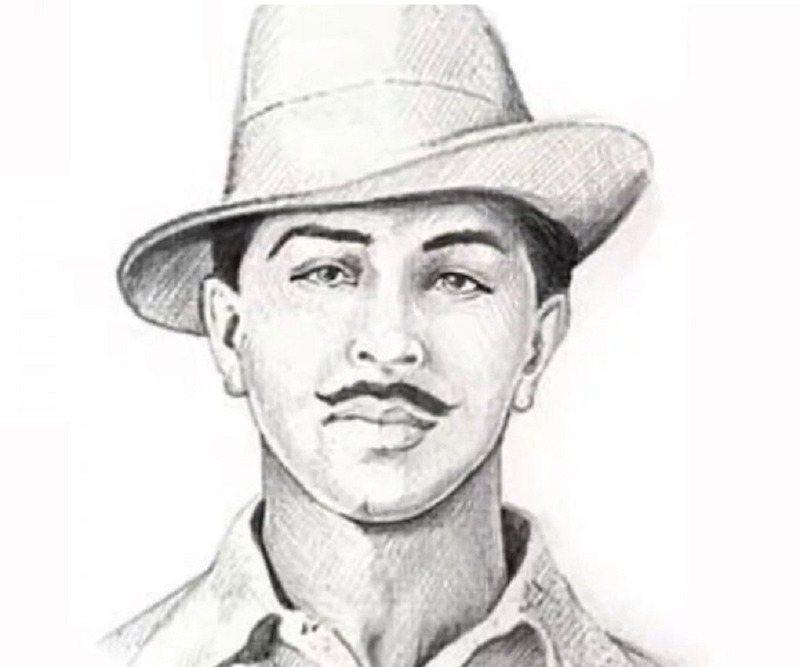 Bhagat Singh is best remembered for his role in the assassination of John Saunders, a British police officer. His original plan was to kill James A. Scott, the British officer who had ordered a lathi charge on Lala Lajpat Rai and his fellow protestors during a peaceful protest. When Rai died a few days later, Singh decided to avenge his death by killing the British officer. 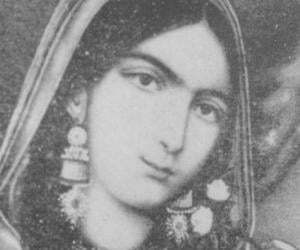 Bhagat Singh’s parents tried to arrange a marriage for him but he remained steadfast in his resolve to avoid getting married as he wanted to dedicate his entire life to India’s struggle for independence. He holds a significant position in the history of the Indian independence movement and his legend continues to inspire the youth of contemporary India. He has been the subject of numerous books, plays, and films. The Shaheed-e-Azam Sardar Bhagat Singh Museum was opened on the 50th death anniversary of his death at his ancestral village, Khatkar Kalan. He was voted the "Greatest Indian" in a poll by the Indian magazine ‘India Today’ in 2008, ahead of Bose and Gandhi.